Experimac Clearwater is the local Apple® specialist that residents from Port Richey, FL to Largo, FL, and every where in between trust when it comes to any Apple® product. Whether you want to buy, sell, trade, upgrade, or need a repair, Experimac Clearwater has worked on everything from iPad® tablets to iPhone® devices, to MacBook® laptops and iMac® computers, from iOS to OS X®. Experimac is the Clearwater, FL area authority on Apple® product repairs, and trade-ins. Experimac performs all out of warranty repairs on Apple® computers and other devices including upgrading Macintosh® computers with higher capacity storage, installing more memory (RAM), replacing logic boards, and performing just about any other Apple® repair that you may need done. 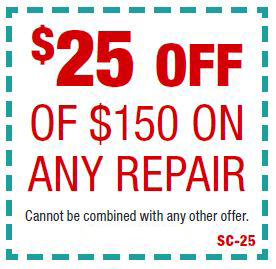 They are offering $25 off any repair of $150 or more. For more information, contact Experimac Clearwater at (727) 281-2282, or visit them online. Be sure to follow them Facebook to catch all of their promotions, or just sign up for their email alerts. May not be combine with any other offer.